A geotextile or called pot pot cloth or canvas. 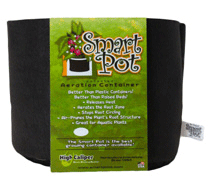 What is a smart pot for? To replace your old plastic pots by textile jars more environmentally friendly, strong and above all more performance for your crop plants or vegetable cultivation. Smart Pot is the original, always copied never equaled, winning is a great American brand several times with awards from different fairs, exhibitions or competitions on the indoor cultivation sayindooras cultureoutdoor plantscalledoutdoor. This tissue container allows for faster production, and healthier plants. Warning this is not just a classic pot! Smart Pot has become the brand of choice for professional producers for over 20 years in the USA, Canada and throughout Europe. Plants grow faster and are mostly healthier in the smart pot of cloth, textile or geotextile containers, try different pots to improve your crops. Smart Pot is reusable pots, sustainable over time, perfect around your home, office, business, restaurant or if you are a urbainculteur, the container you use affects the plants you grow and smart pot that will make the difference Immediately, and the quality of your plant starts from the beginning of the first root. Smart Pot develops healthier roots and stronger thanks to the air entering the root ball directly and creates many more small roots and rootlets to better development of your plants. These roots will absorb moisture and fertilizers much more effectively so that your plant grows faster and stronger and give you yields and harvests more abundant. Smart Pot is the innovation leader in industry about the pots for gardening and horticulture nurseries for example combining design and quality right word and the name of the Smart brand Smart Pot pot so smart and powerful class. Made in the US for strict quality control, your plants will thrive in the perfect tissue density and you will be reusing your Smart Pot for the next few years. 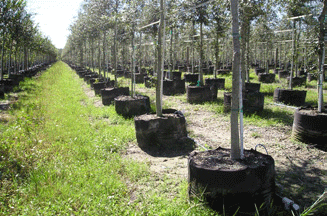 Smart Pot is selected by growers and horticultural professionals with over 30 years of proven technology of the tissue in pots in the forest industry. Smart Pot made them as available for your gardens. Join thousands of customers who produce millions of plants and obtain professional quality results with pots Smart Pot is simple pots to use, productive, economical! Smart Pots are gardening pots geotextile that can grow anything, anywhere, easily and at low cost. Lightweight, durable and non-frangible, they are available in many sizes (from a few liters to several hundred liters, eg 400L). Smart Pot is perfect be it for small balconies and terraces that big roof gardens, paved or contaminated land. And everywhere to create instant gardens. 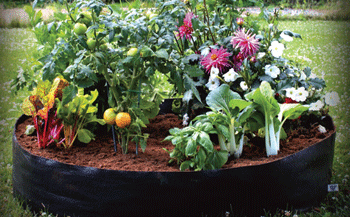 Create your garden in less than 10 minutes wherever you want. What is Smart Pot Technology? The Smart Pot technology resides in the porosity of the material, a thick geotextile that ensures optimal root and plant development. Concretely, the Smarts Pots allow an excellent root development because discover the fabric allows the aeration of the soil and the root system, one of the basic principles of gardening. With Smart Pot, when a root reaches the tissue wall, its growth stops and the plant develops new roots. Result get a dense root system rather than a few large roots spiral along the walls, Smart Pot offers a beautiful difference in development. The circulation of air avoids the overheating observed in conventional pots on hot days, which is harmful to the roots and microorganisms of the soil! Suitable for all types of crops, vegetable or ornamental. Also suitable for hydroponics and in aquaponics . How is the Smart Pot manufactured? Where to buy a smart pot in France? Smart Pot has selected the Smart Pot Culture Indoor partner for France. Looking for a Smart Pot wholesaler in France? Contact CIS . Have you ever seen these pots at urbanites? It is normal it is the distributor for canada. Simplified wintering because the Smart Pots can stay outdoors in the winter and be amended the following year (adding compost) to start gardening again. Possibility of adding a saucer (to avoid the flow of water) or to slightly raise the pots of the ground (on slats of wood for example) to ensure a good aeration underneath. Can the Smart Pot be washed and washed? In a first step, use a brush and a little water. For more stubborn stains, you can consider using the Oxyboost 12% for example or other stain remover. For a background cleaning after an illness, you can wash the Smart Pots in the washing machine. It is even advised for a perfect cleaning of your Smarts Pots. A discreet pot in its use, very easy to carry. Also easy to send by mail for example, do not forget indoor culture your growshop online delivers you everywhere in France in less than 24h *, free delivery for 59 € *, fidelity discount for life -20% *! Know how to plant without planting yourself with Culture Indoor! The leader in hydroponics in France and Europe.